Peak Energy: The CIA Wants To Control the Climate!!!! The CIA Wants To Control the Climate!!!! Jamais at Open The Future has a look at the recent Mother Jones report on geoengineering funding - The CIA Wants To Control the Climate!!!!11!. This is an entirely appropriate use of a very small amount of money (in government terms) and the resources of the intelligence services. As I've gone into multiple times, the global political risks around geoengineering are massive, likely greater than the environmental risks. A better understanding of an emerging complex geopolitical issue is precisely what I'd want an intelligence service to be doing. It's a lot better than operating killer drones and reading our email. People who don't want to see geoengineering happen should be glad that the US government is taking this seriously as a potential issue. 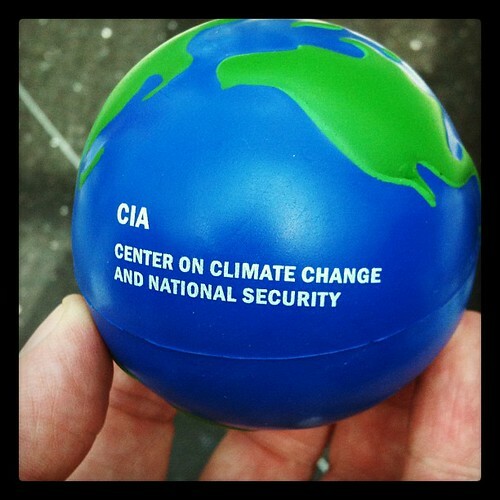 I had an opportunity a couple of years ago to participate in a "wargame" project run by the CIA Center on Climate Change and National Security -- see souvenir above -- and watched as a climate-focused exercise turned into a geoengineering-focused game. As far as I could tell, this was not the designer's intent, but an organic result of player actions. And over the course of the game it came very close to leading to armed conflict between the US and China, a conflict over uncertain (and unsettling) consequences of a geoengineering effort. [The CIA Center on CCNS is now closed, in part due to climate issues being integrated across the spectrum of CIA research, and in part because House Republicans cut funding. Can't have the government studying climate change as if it were a real thing, you know.] 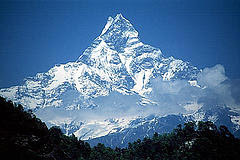 There's no question that geoengineering needs to be thought of as a potential global political risk. I'm glad to see a project like this. And I hope that the intelligence and strategic risk analysis services of other governments around the world are doing the exact same thing.